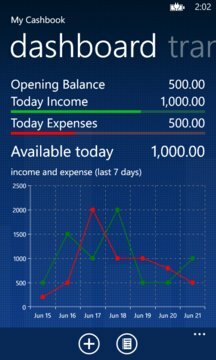 My cashbook helps you to manage your money. It helps you with tracking daily income and expenses. Therefore you know where your money goes and come from. 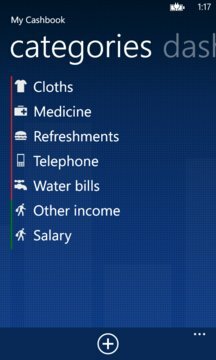 With Live Tile (shows open balance, today income, today expense and balance) you can easily track the balance in your hand. If you have questions, suggestions and feature request, please contact support from app's about page. We would love to hear from you. Please don't leave any bad review & rate before contact us. This is the free version of My Cashbook Pro. If you like to translate app in your language please contact us from app's support page.